The innovative HairMax LaserComb Ultima 12 will slow and even reverse hereditary hair loss! Just 8 minutes a day, 3 times a week will give you fantastic results! The Ultima 12 LaserComb has been clinically proven to revive dormant hair follicles, reversing both male and female pattern baldness! 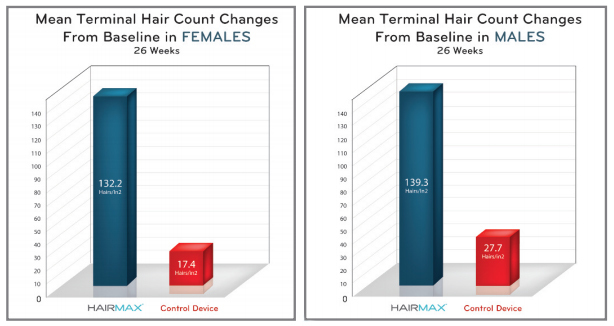 HairMax have been designing revolutionary new hair loss treatments for over 15 years – their devices have been clinically proven to increase the thickness, growth and amount of hair follicles with only a few minutes of treatment per week! The powerful Ultima 12 laser hair comb contains 12 medical grade lasers that work to stimulate your hair follicles, reviving dying ones and increasing the amount of growth. You can reverse the progress of your hereditary pattern baldness with the Ultima 12, freeing yourself from the embarrassment of thinning hair! Who is the Ultima 12 LaserComb for? Beautifully designed and simple to use, experience the power of laser phototherapy! The Italian design of the Ultima 12 is both stylish and comfortable to hold, with the comb elements parting your hair to give the lasers total access to your hair follicles. The 12 medical grade lasers will transfer energy into your follicles, which stimulates their roots and encourages new growth. 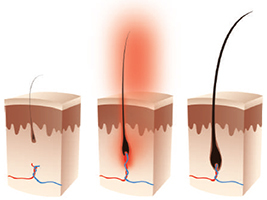 This is called photo bio-stimulation, and the HairMax range of laser phototherapy devices is the only one to be approved by the Federal Drug Administration (FDA). This means it has been certified as being both effective and safe for the treatment of pattern hair loss. 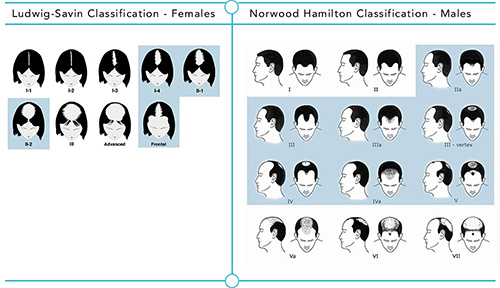 There have been seven clinical studies on the HairMax LaserComb, all at major research centres such as the University of Minnesota. The studies divided participants into groups, with one group using the LaserComb and a control group using a fake device. Over 93% of participants who used the genuine LaserComb experienced significant increases in hair growth and thickness within 26 weeks, with an average increase of 139 hairs per square inch! You should use your Ultima 12 3 times a week on evenly spaced days – for example on Monday, Wednesday and Thursday. 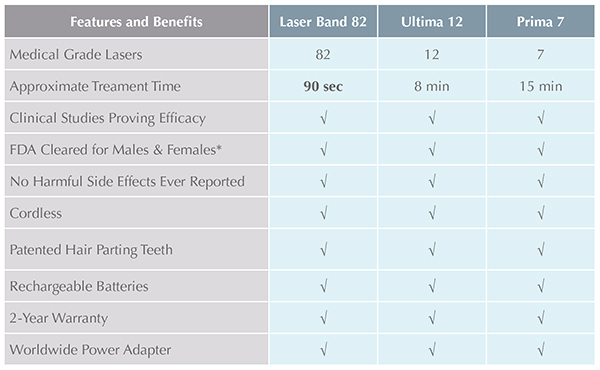 Each treatment takes only 8 minutes with users seeing results after only 16 weeks!